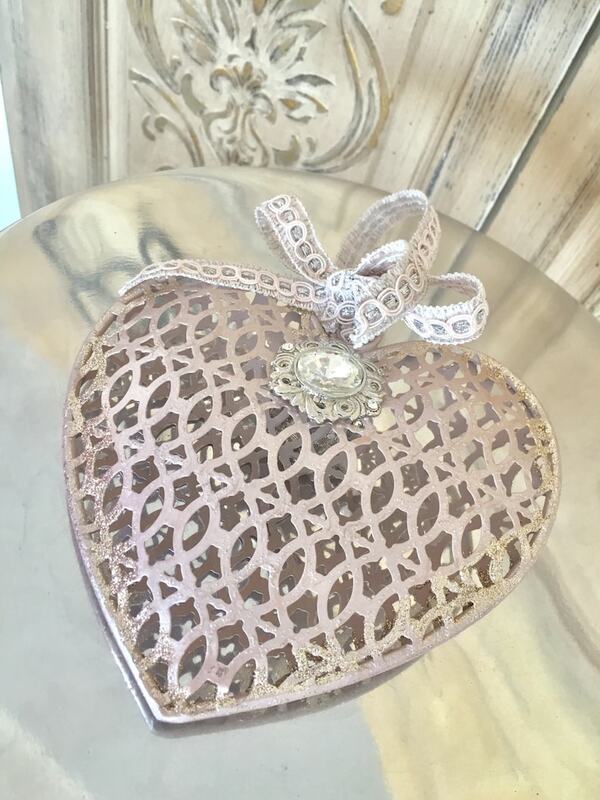 A pink metal embellished heart - so sweet! 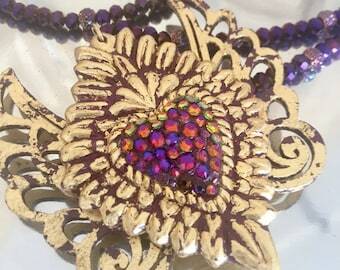 This hand finished metal heart was hand finished with a lovely pink paint and rhinestone jewelry. I also used a beautiful pink ribbon to hang in your favorite place. Lovely because of its unique size and finish. 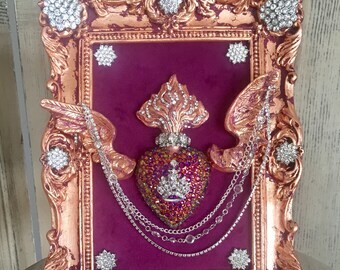 This beauty has been embellished with a hand applied pink painted finish, and embellished with crystal jeweled elements. Unique and finished the same on both sides as well. 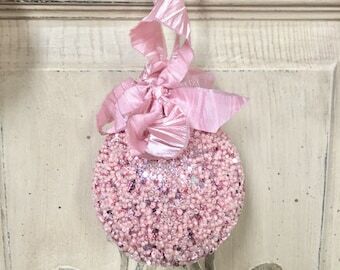 This hanging heart would be perfect as a hostess gift, special Valentine present, or to decorate a special vignette. 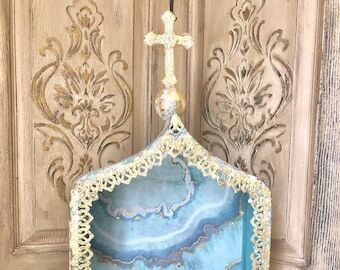 My studio uses the latest decorative finishing techniques and detailed handmade artistry to create new and unique decor for your space. No two pieces are ever exactly alike. 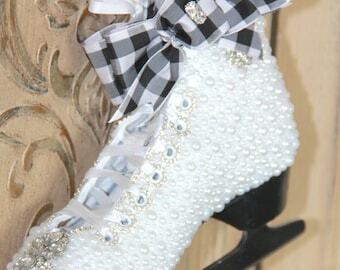 Size is 6"x6" with an additional ribbon for hanging.